As you may already know, self-hypnosis is a simple relaxation process where you listen to positive suggestions to improve your life. The positive suggestions in hypnosis work because they provide your mind with alternatives to what you may be doing today, and build up exciting visions of a future where you are doing the things you really want to do, and living the kind of life you want to lead – and that’s all good! But there is a surprising effect that takes place in self-hypnosis – sometimes it can happen after one listening, sometimes it may take a week or more – but then, one day, the miracle arrives, where everything seems to make sense and you are feeling more empowered, more confident than ever before. Have you figured out what it is yet? The process of self-hypnosis can actually “de-hypnotize” you! That’s right – the effect of listening to positive suggestions in self-hypnosis, giving you alternative ways of thinking, triggering your imagination and painting a picture of a positive, dynamic future, can actually have the delightful effect of “de-hypnotizing” you. Quite simply, many people are wandering around, confused and perhaps lost, because they have accepted so many wrong beliefs – ideas about themselves and the world that cause more harm than good – and it is these ideas that keep people feeling bummed out, lethargic and often, afraid to take action to do much of anything to help themselves. Being “de-hypnotized” means all of a sudden you will simply realize so many of these beliefs are in fact, wrong, and you will feel like a tremendous weight has been lifted from your shoulders, and the world will suddenly seem like a brighter, friendlier place. awaken you from your slumber! Try and remember a time when you believed something, let’s say about another person, and it turned out to be wrong? And when you learned the truth and you saw that person in a totally new light? That person can be you – and it can start today – if you are willing to embark on the exciting journey of self-hypnosis. … what it will be like when you suddenly “wake up” and realize that you can have anything you really want? … how it will feel to experience natural self-confidence? … what it will be like to be truly optimistic, because you suddenly believe in yourself? In this article, we’ve discussed only one surprising benefit of self-hypnosis – there are of course, many more – including listening to the sound of your own voice, when you finally decide to dedicate your energies to living the life you’ve always dreamed of – that is why you came to this page, is it not? We created our flagship program, Ultimate Self-Hypnosis: The 30-Day Plan, as a way to help you dive right in to experiencing the many amazing benefits of hypnosis. Every day, for 30 days, you will gain access to a pre-recorded self-hypnosis MP3 – as well as the written script for you to record your very own version. With this approach, you can being instantly experiencing the benefits through listening, and take some time to familiarize yourself with our amazing resources section that has videos and PDFs to help you through the process of creating your own self-hypnosis MP3s. You can begin your journey and gain instant access to Ultimate Self-Hypnosis: The 30-Day Plan, right here! (opens in new window). See you inside the member’s area! you get for 1 low price! This is a simple self-hypnosis session that you can listen to anytime to enjoy the guided breathing and countdown into a relaxed state of mind. This self-hypnosis session encourages self-acceptance with an embedded mindfulness exercise featuring a red balloon! We hope you find it delightful, it is something you can take with you – you’ll see! This self-hypnosis session embeds the dual ability to remain a mindful observer of the world and an actor simultaneously, so that you may engage in energetic action without succumbing to stress, allowing you to achieve your goals with elegance. This self-hypnosis session discusses the fundamental choice for developing an optimistic mindset – that you can observe the world and decide that there are good things to be experienced and created, and you can use this mindset to pave your way through life, enjoy! This self-hypnosis session uses the metaphor of the rising sun to emphasize that each day is a new opportunity to live life as you see fit, without being burdened by the past – which you can release right now, so that you can live, today! Enjoy! This self-hypnosis session uses the metaphor of games and a schoolyard playground to encourage you to look at challenges a new way and enter into them with enthusiasm, enjoy! This self-hypnosis session reminds us that focus is an innate skill that we sometimes use and sometimes do not, and connects the rewards to developing this skill, which is as easy as first being calm and then calling the thing you want to focus on to the forefront of your mind. Since focusing is a skill this session also reminds us that it is something we can practice developing and using, enjoy! This self-hypnosis session reminds us that persistence is a quality that has gotten us to where we are today, and that , indeed, it is central to our being – and that we can apply this awareness – and quality – to our everyday life and the goals we want to achieve, enjoy! This self-hypnosis session uses the concept of deep relaxation and self-acceptance to connect to the idea that social interaction is a natural human desire and that we can invite it with a welcoming spirit, then advancing the notion that interactions made in this manner create an enormous amount of good will, so we have a tremendous opportunity to not only overcome social anxiety, but to build new communities, enjoy! This self-hypnosis session first discusses procrastination in fact – sometimes we procrastinate and sometimes we don’t and accepts all of this as natural. The session also discusses how we have obviously done so much with our lives, over the years, and currently have so many opportunities that we can use our own positive history and the excitement for new vistas to simply act, not worrying about procrastination but simply enjoying the process of doing the things we want to do! This self-hypnosis session uses the concept of a walk in the forest to encourage the process of separating truth from falsehood, and the vital skill of discerning that which is important from that which matters not. Enjoy! This self-hypnosis session reminds us that our greatest challenges from the past are the ones that give us the greatest satisfaction today, and that we can continue, finishing what we have before us today because we know that today’s obstacles will be tomorrow’s victories! Enjoy! This self-hypnosis session on courage begins by acknowledging that each of us has already demonstrated many instances of bravery in our lives – because it takes courage to live – and then further refines the idea of everyday courage as living in accordance with our principles and having the ability to face the unknown with this commitment. By defining courage in this manner, it takes it away from the movies and makes it more real, for all of us, because every single one of us is already courageous! This ultimate self-hypnosis track on visualization reminds us that many of the things we have today were once vividly imagined goals – and that even as we have goals today we understand we are constantly using the same process of visualization, which is calling upon the substance that is all around us, and that we are also made of, to shape our reality, using our minds and our ability to see the things we truly desire in our imagination. Trippy! This ultimate self-hypnosis track on dealing with setbacks uses the metaphor of a brief storm that wipes away conditions that are stale and no longer useful – clearing the ground for a fresh start in a rich, welcoming environment, enjoy! This ultimate self-hypnosis track on creating better results affirms that we are excited to participate in the world and focuses on developing the skill of remaining centered within ourselves, allowing the world to be, while taking direct, calm and focused action, enjoy! This ultimate self-hypnosis track on faith takes the gnostic position – that you can express and strengthen your sense of faith by going deep within yourself and rely on your inner knowing, confident that you have the wisdom necessary to live a rewarding life, enjoy! This ultimate self-hypnosis track for the glory of practice reminds us of the achievements we truly savor – the ones where we have been dedicated – and discusses how the field of practice is where we truly feel at home and are able to lose ourselves and merge with our spirit, bridging the gap between ourselves and the material aspect of the world – and that practice is indeed the path to mastery, enjoy! This self-hypnosis session uses a walk in the forest to take us, deeper, into our own psyche so that we connect with the inner light of being within each of us, that is always available, and which we can merge into, becoming at peace, and are then able to bring this peace with us into the world, enjoy! This ultimate self-hypnosis track uses a walk in the forest to take us, deeper, into our own psyche so that we can make the connection between our concerns and the solutions to them – understanding that both arise from the ground of our being and that we can connect with the inner light within each one of us to be able to accept the solution to particular problems, and also receive the master key, that allows us to re-enter the world peacefully, knowing that every situation and every solution both come from the same source. This ultimate self-hypnosis track uses a walk in the forest to take us, deeper, into our own psyche so that we connect with the inner light of being within each of us, understanding this is the force that powers all existence and that it is always within us, and we can connect with this power and trust it – and ourselves – to allow it to shine through us, bringing this peaceful energy into the world, enjoy! This ultimate self-hypnosis track for making better choices delves deep into our understanding that the fundamental choice every person makes is who they are and what they deserve from life – and of course, that every person is a wonderful human being deserving of all good things! By addressing this first choice, it then becomes easier to make everyday choices that continually deliver better and better results and a more joyous life to us, enjoy! This ultimate self-hypnosis track uses the metaphor of waves crashing on the rocks to explore the timeless meaning of resilience – as a character trait that we can embody and rest confidently within, using this touchstone to set our direction and guide our journey throughout life, enjoy! This ultimate self-hypnosis track explores how clarity of vision and spirit helps us to live more peaceful lives, and delves deeper to strengthen that clear vision and bring it into our everyday lives, enjoy! This ultimate self-hypnosis track acknowledges the abundant creativity everyone expresses in their everyday lives, and encourages us to delve deep into that source to bring our creativity into the world in a focused, productive manner. This ultimate self-hypnosis track explores the root of self-confidence that lies in becoming very still and connecting with our inner light, accepting ourselves and the world and focusing on the reality of the things that are within our control – namely, the creation of our own productive and peaceful life, enjoy! This ultimate self-hypnosis track takes us deep into the truth of our own being – and mind – and demonstrates how there is nothing here but ourselves, and that we can take this untouchable, unshakeable state of being into the every world. This ultimate self-hypnosis track takes us deep into the truth of the idea of contentment, within ourselves, and the confidence and goodwill this engenders, and understand this is the profound source of happiness, which can be experienced immediately and cultivated every day, enjoy! This ultimate self-hypnosis track explores how enthusiasm is the most natural state of being for every person – who is willing to go deeper into themselves and recognize their inner light – and come back into the world feeling refreshed and appreciative of the wonder all around, enjoy! This ultimate self-hypnosis track demonstrates the ultimate freedom and power inherent in taking responsibility for the results of your life – which is easy to do once you go deep and take command of your inner light, enjoy! Would You like to try it our for yourself? 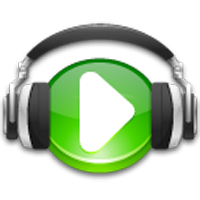 You can download a free MP3, Ultimate Self-Hypnosis For Natural Optimism by right-clicking on the green headphones. You can also get the corresponding self-hypnosis script by clicking on this link: Ultimate-Self-Hypnosis-Natural-Optimism-Script. Once you have both assets, listen to the free MP3, as often as you like. Then, when you’re ready, record the script, in your own voice and give that a listen – I think you’ll agree that listening to your own voice is a powerful experience, enjoy!